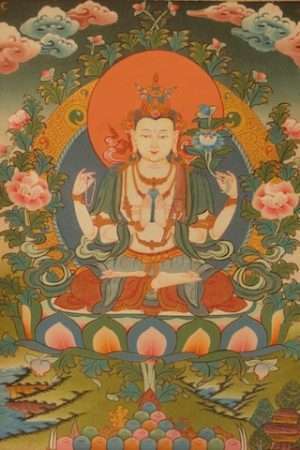 Avalokitesvara is the Bodhisattva of Compassion and the essence of the Mahayana Ideal of The Bodhisattva, an awakened being working for the benefit of all beings. 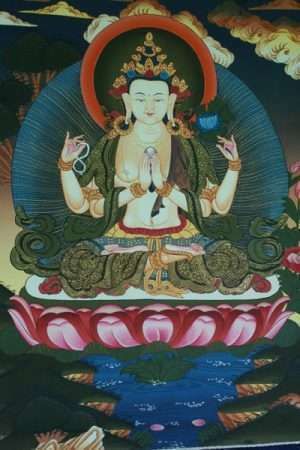 The upsurge of compassion in the Bodhisattva is known as the Bodhicitta. 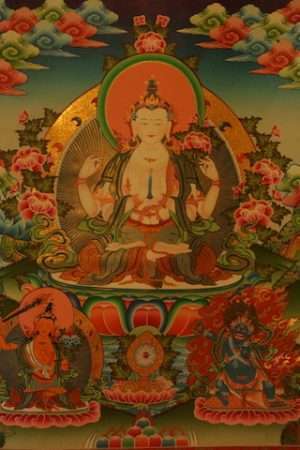 He occupies a prominent place in the Heart sutra. 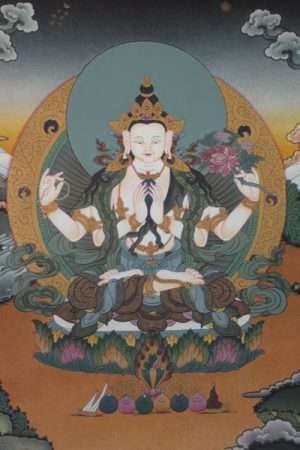 Avalokitesvara, lord of the Dharma who looks upon all beings with infinite compassion. 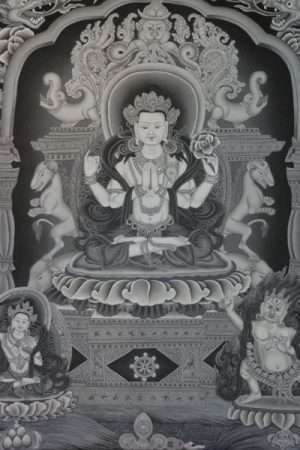 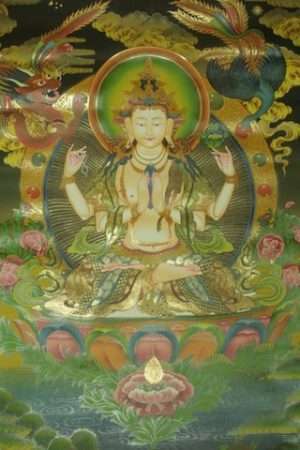 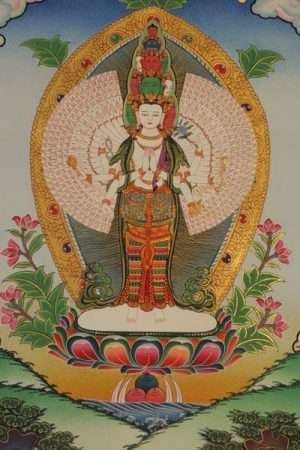 He is known as Chenrezig in Tibetan, Kannon in Japan and Kuan-yin in China. 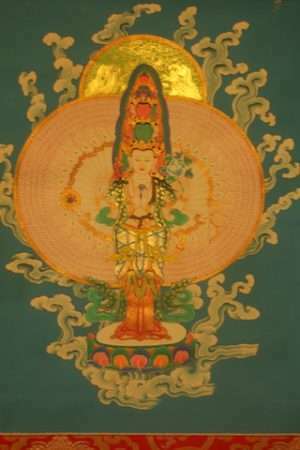 His mantra is “om mani padme hum” and from a lake of his tears of compassion for the world the Buddhist goddess Tara was born. 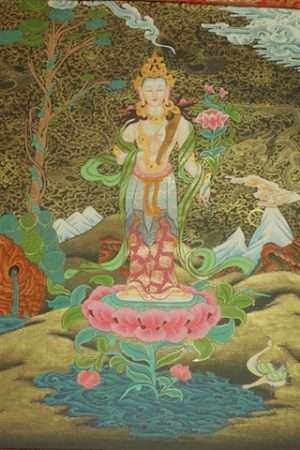 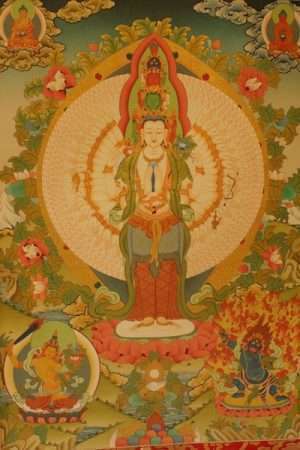 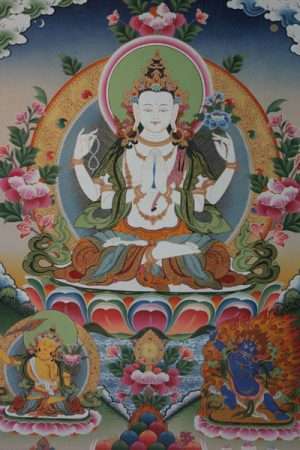 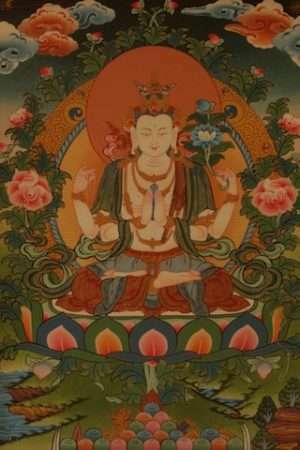 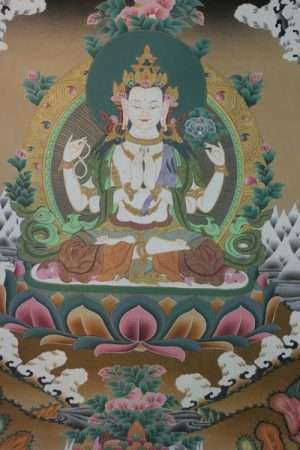 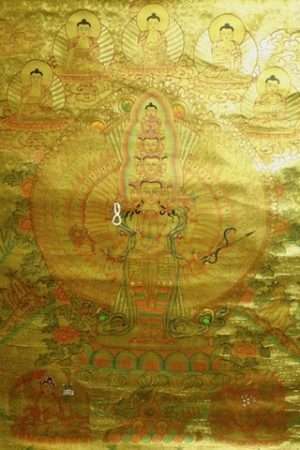 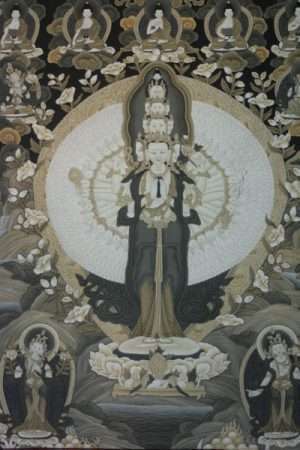 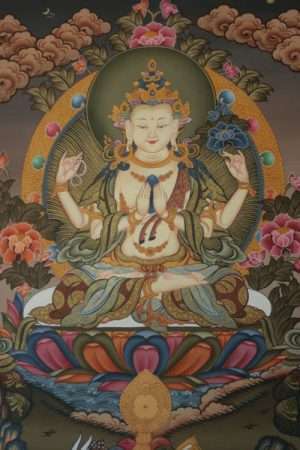 Avalokitesvara thangkas are meditated upon to develop the quality of compassion.